Football is never short of controversy and disagreement, and the latest debate among players and fans centres on the issue of whether artificial turf or natural grass makes a better surface for the beautiful game. Here’s a quick look at some of the pros and cons of each option. Artificial turf has come a long way over recent years. Gone are the days when these playing surfaces were uncomfortable and even dangerous to use. Now, this turf is designed and manufactured to exacting standards using the latest materials and technology. As it states on the websites of synthetic turf specialists www.tigerturf.com, these surfaces are made from soft, non-abrasive fibres that closely resemble grass in both their colour and feel. One of the major advantages of this turf is the fact that it offers a reliable, high-quality surface year-round whatever the weather. In addition, these pitches are very low-maintenance. They don’t need to be watered, cut, weeded, fertilised or aerated. It’s also worth noting that because synthetic turf holds the ball well, it can give players extra control. Underneath the grass, the pitches feature a layer of rubber that helps to absorb impact and control ball bounce. Despite the many benefits associated with artificial turf, some people remain unconvinced by these surfaces and prefer the sport to be played on natural grass. In many cases, this is due to a sentimental belief that real grass represents the essence of football. For these individuals, synthetic pitches simply don’t have a place in the game. Meanwhile, some people are concerned about safety and believe that artificial pitches lead to higher injury rates. 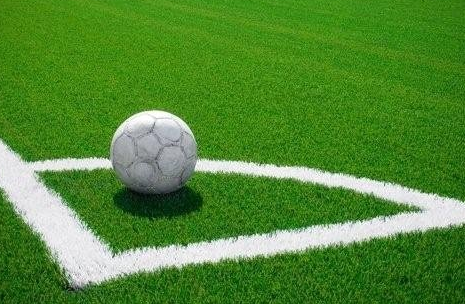 It’s important to note that research suggests the best synthetic surfaces are in fact equal to real grass in terms of safety and they have been tested to FIFA standards. However, this message hasn’t yet got through to all players and fans. Choosing between real and artificial grass can be tough. To make the right decisions, organisations often have to strike a balance. Firstly, they have to take into account their practical requirements. For example, if they are affected by harsh weather conditions and want a pitch they can use year-round, natural grass might not be a feasible option. Secondly, they have to take the views of players and spectators into account. By weighing up their options carefully in this way, they should make a suitable choice.